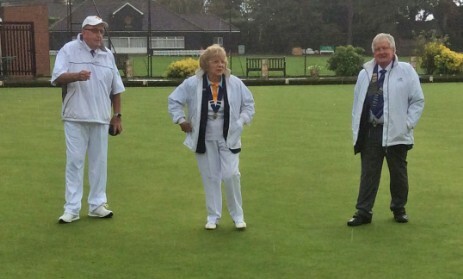 President Robin of EHBA was welcomed by Immediate Past President Anita of Sawbridgeworth Bowling Club on a very wet afternoon. 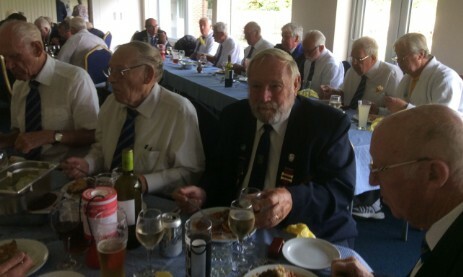 Despite the rain the men played 18 ends ,President versus Vice President with the President having a successful outcome. 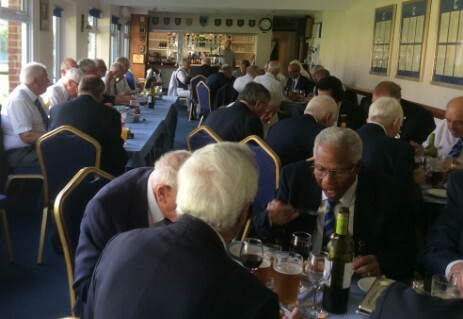 A hot meal was enjoyed by all after the match.